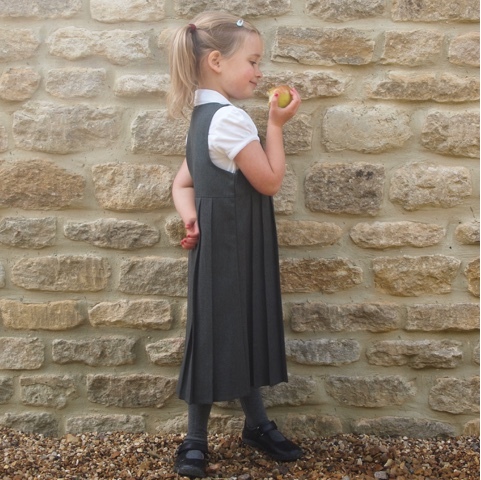 Last year, Ellie's Marks and Spencers uniform lasted the entire year with plenty of growing room and survived countless washes which included school dinner spills, paint splodges, break time in the play ground and general wear and tear from a school day. 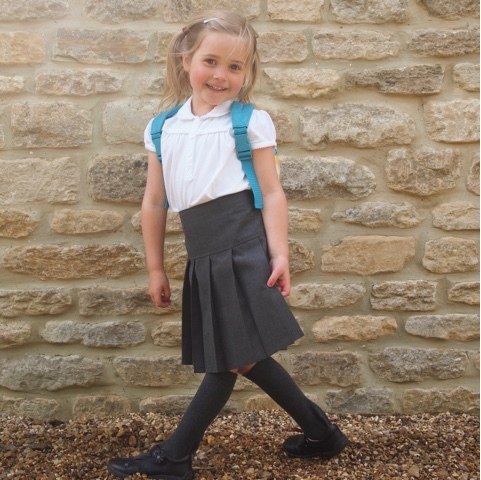 Although Ellie has now grown out of her uniform everything still looks good as new and will be happily handed down to her little sister when she starts school next year, which is testimony to the exceptional quality which we know and love from M&S. teamed with little white ankle socks. I love that there is so much choice in their collection which will see your child through the seasons over the course of the school year. Their sizing is generous meaning it gets loads of wear and the attention to detail is so thought through and really lovely. 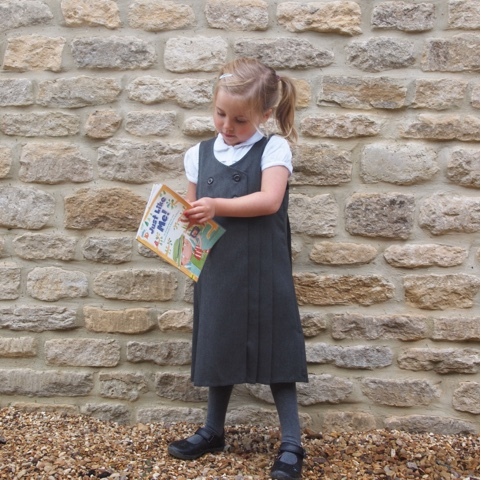 From little lace detail on sleeves and pockets to tiny butterflies, scallop edging and hearts on their school socks, it's a uniform Ellie really wants to wear which I can imagine as she gets older will become even more important. Their uniform is excellent value with two of the pretty polo shirts above for just £9. I love the little puffed sleeves, scalloped collar and pin tucking detail. They are made from a stretch cotton making them super comfy which is really important when they are wearing it all day everyday while they learn. Ellie's favourite item from the collection is the Skater Skirt which passes her all important spin test and with stain, weatherproof and crease technology it gets a big thumbs up from me too. The waist is also adjustable which is a really handy feature as I sometimes struggle with getting skirts to fit my girls as they are quite petite. A great fit means it's not only comfortable but also looks really smart. It comes in grey, black and navy meaning it will match with whatever your schools colour scheme is. I also really like a traditional pleated skirt which is great as we transition to Autumn teamed with a pair of matching knee high socks. The permanent pleat technology means that the pleats stay put wash after wash looking smart with every wear. It's stylish and also really practical and comes in a pack of two. Ellie picked out this super cute Rain Cloud Backpack which cheers up her school uniform and adds a bit of personality bringing a bit of sunshine to school even on the greyest of days. 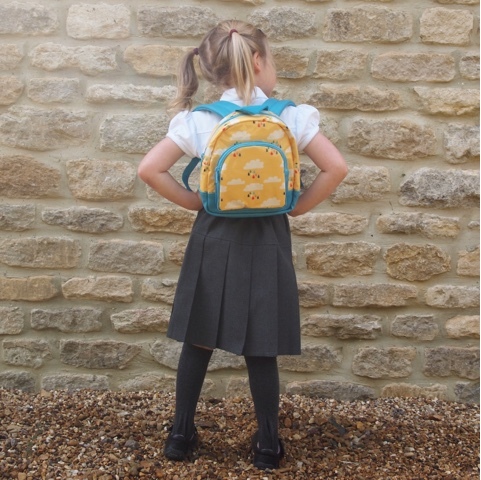 It fits her perfectly with adjustable straps and two pockets, great for taking anything extra to school such a drink and snack, or for forest school and school trips. Being able to carry her own things gives her extra independence and means there is less for me to carry in the morning! For Winter you can't beat a pinafore and tights. Marks and Spencers school socks and tights are all super soft and feature Freshfeet technology cleverly keeping feet fresh by combating the bacteria that cause odours. 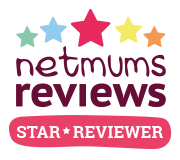 Their tights also have Body Sensor technology which is designed to keep your child warm when it's cool and cool when it's warm, perfect for the changeable British weather. I love that there is permanent sizing in the waistband to help easily identify each siblings tights when sorting the washing, a feature that will be super handy when all three little ladies are at school in years to come. 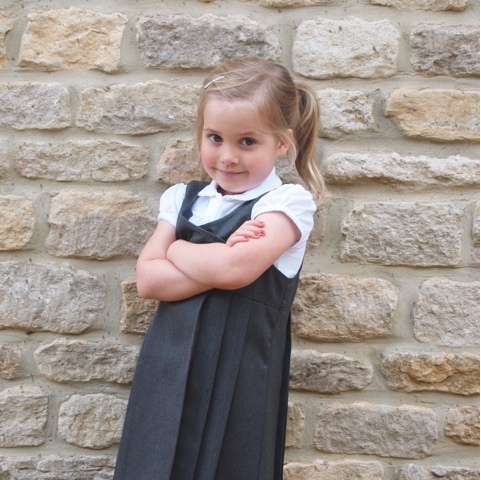 This pinafore ,which comes in both grey and navy, also features permanent pleat technology. It is easy to put on and button up which important when your little ones have to get themselves dressed after changing for PE. 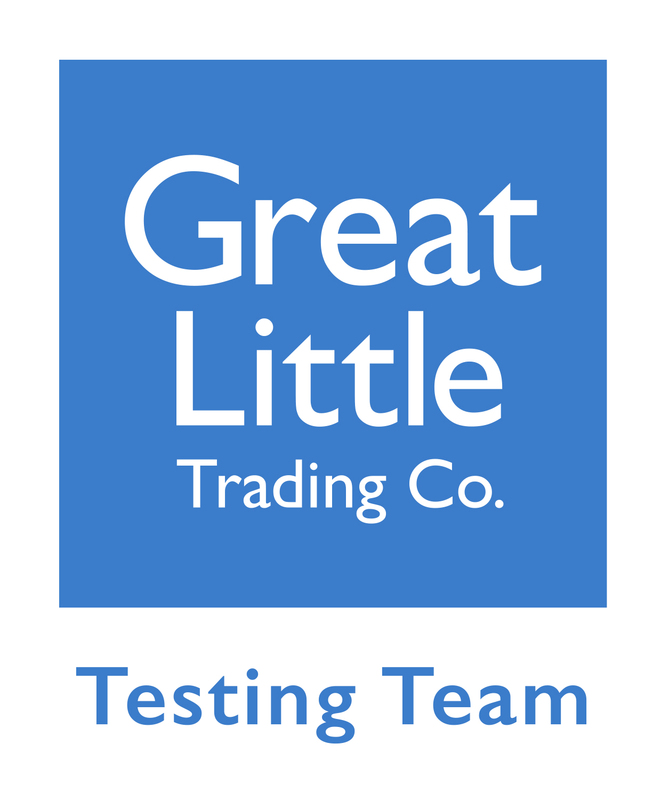 The crease and stain resistant fabric is just fantastic and last year I got away with not having to iron it on the odd Monday morning rush when I hadn't been organised enough to get everything ready the night before after a busy weekend. This pinafore is so easy to wear and looks fab! 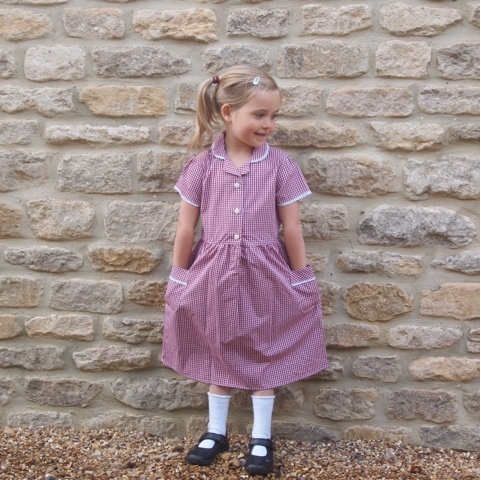 We really love the Marks and Spencers school collection and Ellie is now ready for another year of learning ahead. 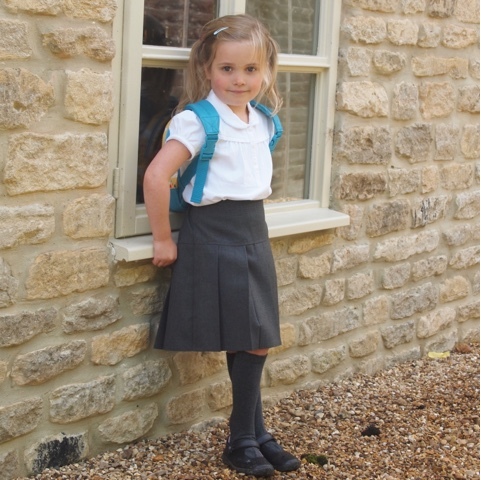 The fact that her uniform is comfortable, durable and great value is a huge win for me, particularly because it won't be long before Phoebe and Lottie follow in her footsteps so i'll know exactly where to shop for it. Ready for another year at school - thank you M&S! The range is available in store but you can also view and order the whole collection online HERE, they are lots of options for school children of all ages and for both girls and boys so do pop over and take a look. Wishing you and your little ones happy uniform shopping and a great start to the new school year!